The holiday season is already upon us and is bringing with it a new array of holiday Disney Gift Card designs. We are so excited to show this year’s offering that would be a perfect gift for any Disney fan, allowing them to shop, dine, stay, and play at Disney destinations nationwide. 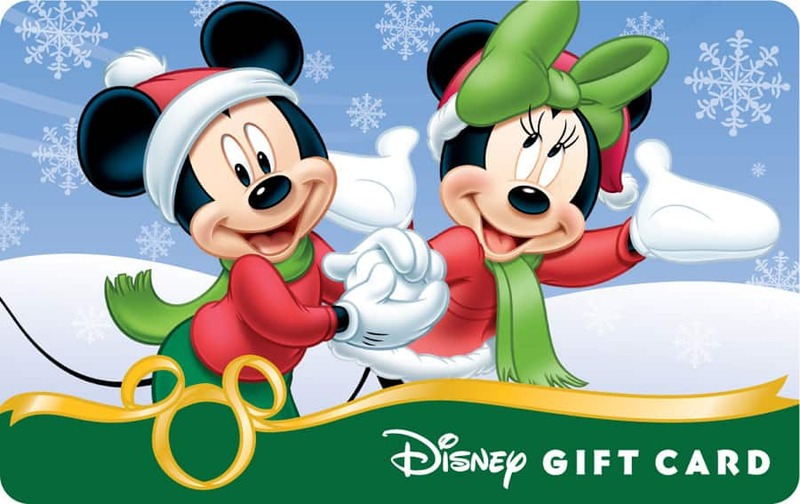 Available online now is the “Flurry Fun” Disney Gift Card. Featuring Mickey and Minnie having fun in the snow, this card is also currently available for a limited time at the Disneyland Resort and Walt Disney World Resort. I don’t know about you, but am I the only one who is a little suspicious of what Mickey is about to do with that snowball? In “Mickey & Minnie – Season’s Gift,” the scene of Mickey giving Minnie a present unfolds in front of a frosted castle that is reminiscent of another icy spectacle seen at Times Square a few weeks ago. Available for a limited time, you can pick up this gift card today exclusively at the Disneyland Resort and Walt Disney World Resort. 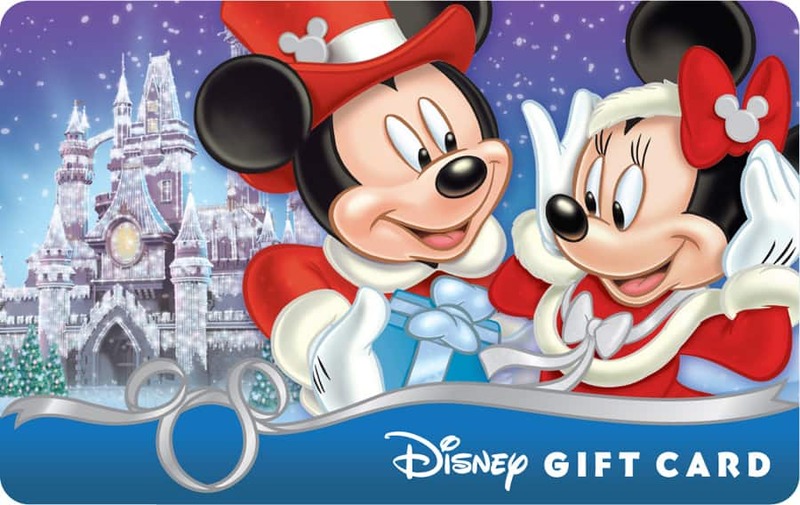 Another holiday favorite for Disney fans is the Disney Gift Card Holiday Series with collectible Stocking Pins. This series is made up of four $75 Disney Gift Cards featuring Donald’s, Minnie’s, Mickey’s, and Pluto’s reflections on holiday ornaments, in addition to their respective pins mirroring each character’s style and personality. Meanwhile, peeking out from the pines behind Donald and Pluto are Chip and Dale, who must have not wanted to miss out on the fun! This series is exclusively available at the Disneyland Resort and Walt Disney World Resort for a limited time beginning on November 27th. The Disney Gift Card can be used just like cash for practically all things Disney at Walt Disney World® Resort, Disneyland Resort, Disney Cruise Line, Adventures by Disney, Club Penguin, Disney’s PhotoPass, DisneyMusicOnline.com, Disney Store locations in the US and online at DisneyStore.com. For more information on the Disney Gift Card and for more holiday designs, please visit DisneyGiftCard.com. Happy Holidays, everyone! 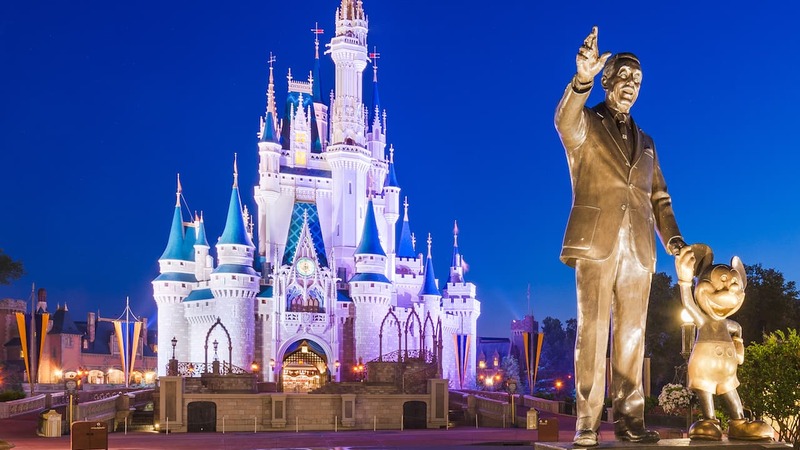 Coast to Coast, Disney Gift Card is Designed for Festivals! Cool Off With a ‘Sweet’ New Disney Gift Card Design!